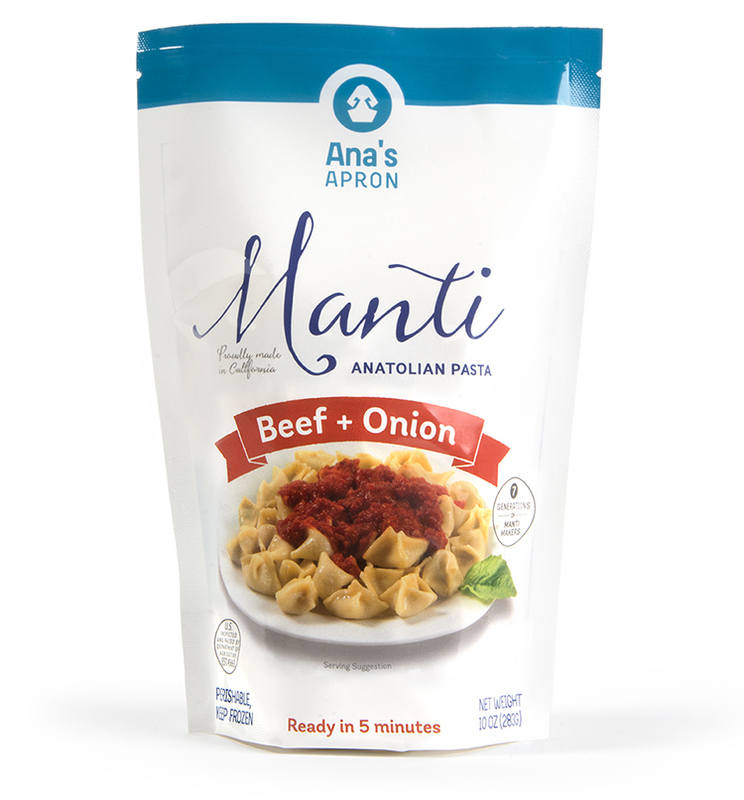 An Anatolian pasta specialty, Manti are filled pockets, like smaller, softer tortellini. 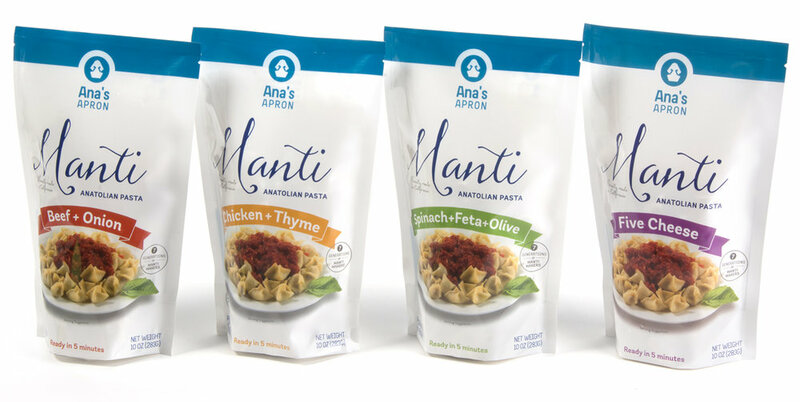 Palo Alto Pasta Company was looking to rebrand their line of Manti under a new name that better reflects the product's heritage, as well as a custom pouch package for the freezer section of supermarkets and grocery stores. A brand review, joint branding session and our research led to the new name: Ana's Apron (Ana for Anatolia, as well as a female identifyer). The new name also allows the brand to expand beyond the initial product range to include other Anatolian specialty foods in the future. Once the name was agreed upon, Rena B designed the new logo in mediterranean colors, and from there we developed the pouch and flavor variations. Keeping it simple with focus on the product name and a single plate of Manti, served with the traditional tomato sauce to immediately clarify how this dish is best enjoyed.